When you are pregnant, you are worried about a lot of things even though you are happy that you will soon be a mother. You are worried about getting too much weight, the changes that occur in your body, the pains of labor, the stretch marks in your body and other things. These worries weigh heavily on you and bring their own stress. If the stress becomes chronic, it can have terrible effect on you and your baby. This is why you should always try to deal with pregnancy stress. Here are ways through which you can deal with it. Having enough rest and sleep will give you and the unborn baby a lot of benefits. When you are not feeling strong to do anything, do not attempt doing it. It will be better for you to rest before continuing with your work. If you are working, you should consider closing on time and taking breaks and few day holidays momentarily in order to rest. Getting enough rest may be difficult for you if you have a tender child. The best thing to do is to hire a babysitter or a childcare service provider to look after the child so that you will be able to rest. Your condition sometime may affect your relationship with your husband. But you should make effort to spend much time with your husband. It will do you a lot of good. Tell him in friendly manner the symptoms you are having. He is most likely going to comfort you and pamper you. This will definitely help you. How Stress Affects Men and Women Differently? Ways To Tackle Everyday Stress And Tension! Antenatal exercises and yoga do a lot of good to pregnant women. Regular exercise will help you to ease off stress. 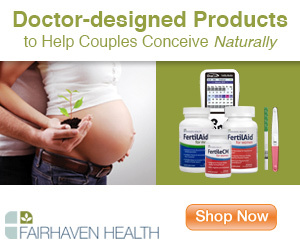 It will also help you to have a smooth and less painful labor. Besides, engaging in prenatal yoga and exercise is a veritable means of regaining one’s shape after childbirth. However, it is not every exercise that is good for pregnant women. You should consult your doctor or fitness expert in that regard. Complementary therapies like meditation, reflexology and massage are veritable means of dealing with stress associated with pregnancy. If you do not have the money to hire a good massager or reflexologist, you should consider doing meditation alone. All you need is a yoga mat and a quiet place. If you have the money for massage, then look for a professional. 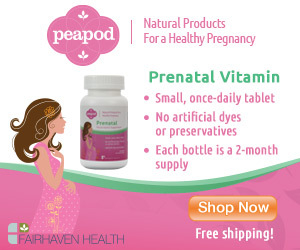 As it has been said, you may have many concerns worrying you about your pregnancy. Do not harbor it in your mind alone. You should talk it out with your loved ones including your husband, mother, doctors and friends. They will surely inspire you with some words of encouragement. This will do you some good. Commuting may create some challenges for pregnant women especially those who are working or who are using public transport. You should seek permission from your boss to avoid rush hours. This means that you should start your work early and go home on time before the rush hours. Laughing is a good means of relieving tension. So, stay with your friends and enjoy their conversation.